Spannocchia has offered a unique farm and agritourism internship program for more than 25 years, with many international interns! Spring, Summer, and Fall Internship sessions are available. Eight interns per session work alongside our Italian farm staff to help run our diversified organic farm and agritourism in rural Tuscany. Interns acquire knowledge and practical skills through the involvement with daily operations of Spannocchia. 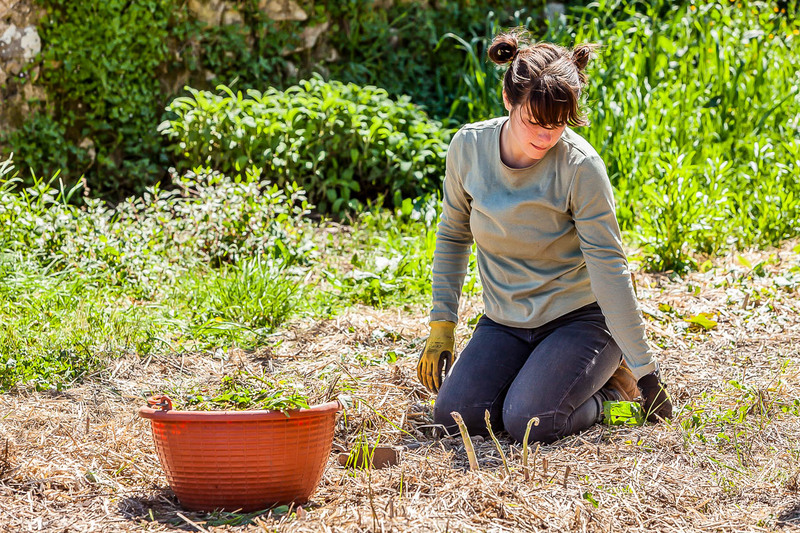 Our farm internship program is dedicated to enriching the lives of young people by providing them with a unique, educational experience on a community-oriented organic farm in Tuscany, Italy. Participants learn about Italian language, local cultural history, conservation, maintenance and restoration, animal care and organic farming. Our interns will spend a portion of the workweek participating in various planned educational activities. 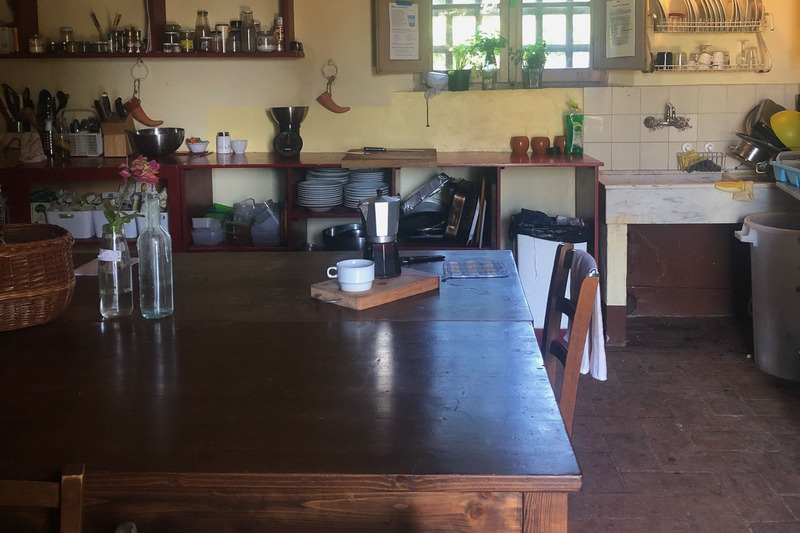 These activities are interspersed throughout the week and include educational presentations such wine tastings, olive harvesting and salumi production as well as field trips to local areas of interests. Trips may include a visit to nearby Siena to experience the famous Palio or a visit to a local cheese farm to test their nuovo pecorino. Site visits to neighboring organic production facilities, farms and vineyards are carefully selected to provide Interns with the opportunity to learn about traditional Tuscan values of food production as well as new techniques utilized to help protect and conserve land in the area. Italian classes are held twice a week for a total of two and a half hours weekly. The classes are geared mostly toward beginning conversation/grammar and enable interns to communicate in Italian more effectively both at work and while traveling. All meals are provided Monday through Friday, and most Sunday dinners as well. 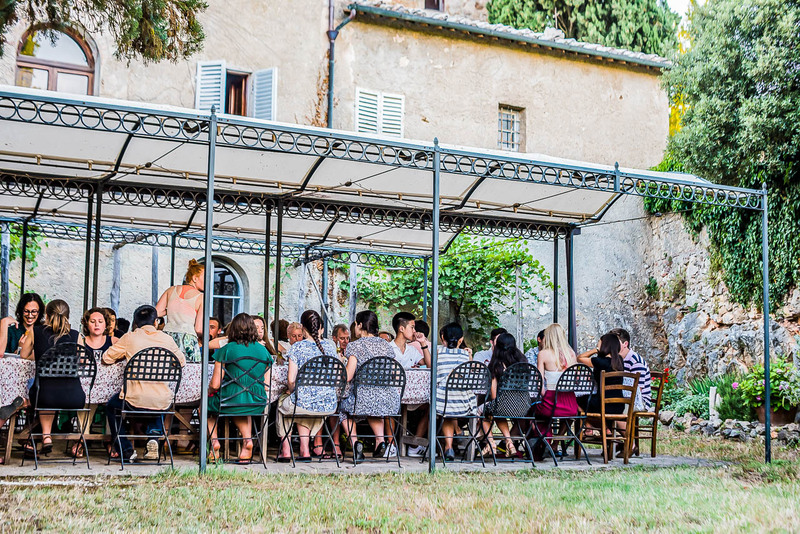 Our interns eat dinner in the main dining room of the Villa, along with various community members and guests. Meals encompass the farm-to-table experience as vegetables harvested in the garden are generally served that evening for dinner. Wednesday evenings are particularly special at Spannocchia with pizza night from our outdoor fire brick oven or nostra cena, a traditional meal focused on a seasonal product. 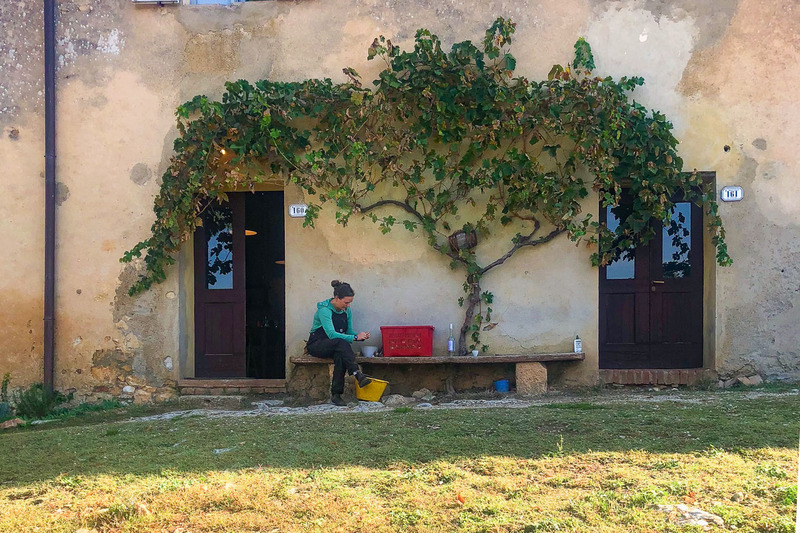 Our interns live on-site in Casa Pulcinelli, a large farmhouse located in the Castello complex. Casa Pulcinelli has seven bedrooms, three shared bathrooms and a fully equipped kitchen. Interns live in double-occupancy rooms, share all meals together, work together, and often spend free time together. The interns have use of a vehicle one afternoon a week for a trip to neighboring town of Rosia for grocery shopping. 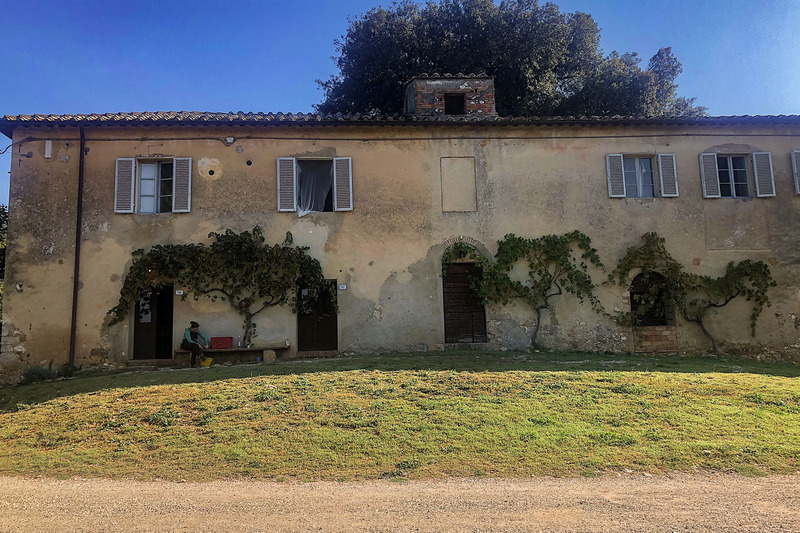 There are a number of recreational possibilities at Spannocchia including hiking trails, dirt roads for running, forests for foraging wild herbs and mushrooms and a swimming pool. 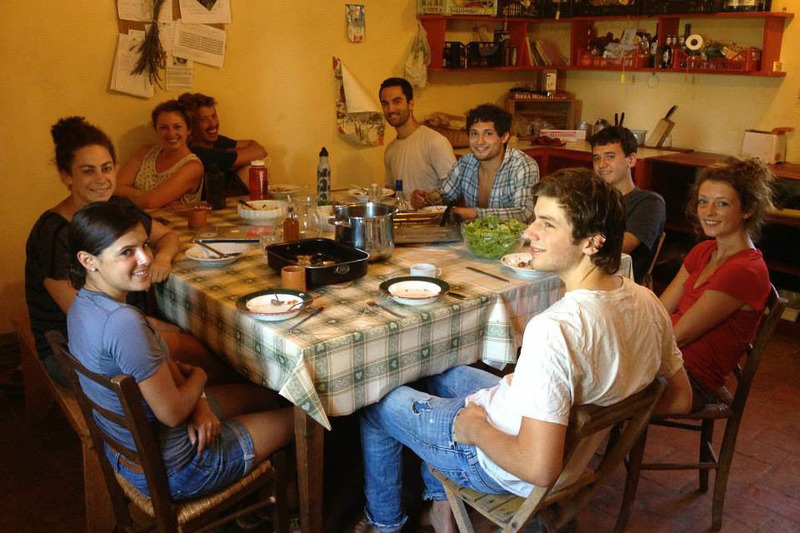 Interns also enjoy learning to cook Tuscan cuisine and making homemade preserves from fresh fruits on the farm. 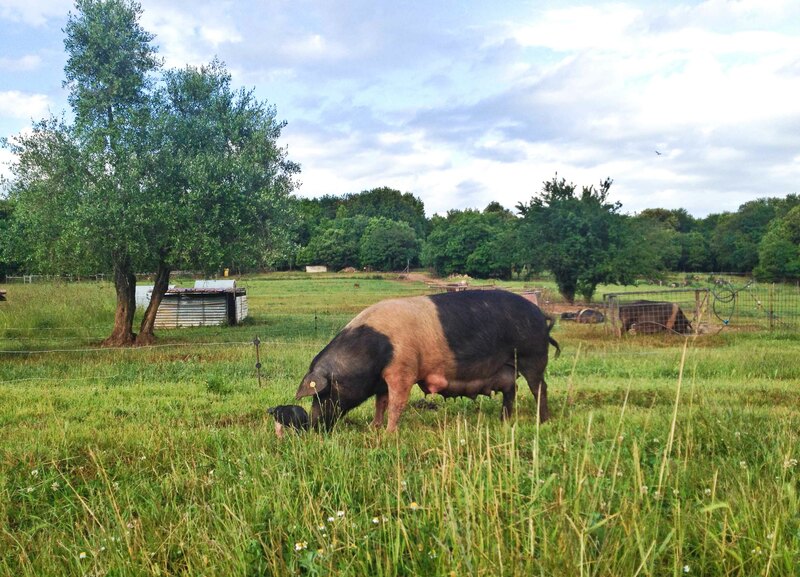 The views of the countryside and surrounding farm inspire painting, drawing and other forms of artistic expression. The farm and agritourism internship program is based on a 45-50 hour week. Approximately 35+ hours are devoted to farm/maintenance work and 10-15 hours are devoted to the educational component of the program. Interns rotate helping with dinner service and weekend duties. Interns acquire knowledge and practical skills through involvement with the daily operations of Spannocchia. 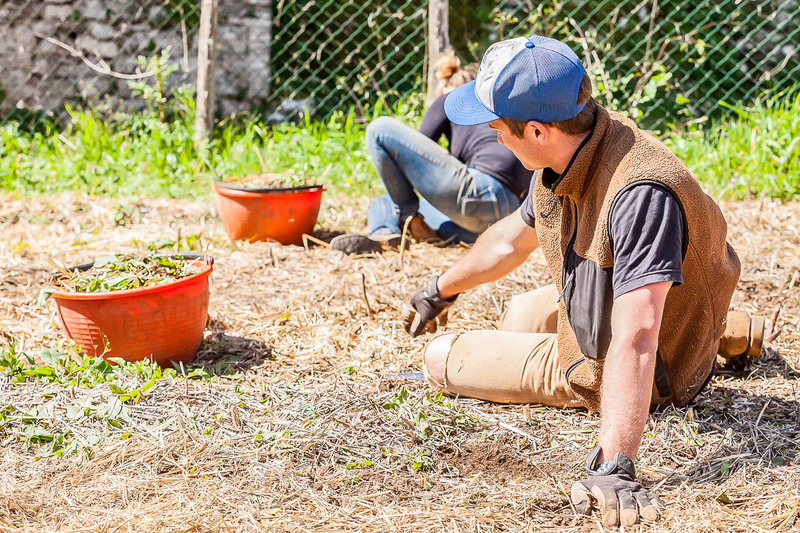 Farm work can be extremely rewarding, as there are opportunities to learn new skills and interact closely with Italian workers, who can provide a wealth of knowledge about Tuscan farming techniques and cultural traditions. The major areas of the operation are: animal care (working with pigs, cows and donkeys), vegetable gardens (planting, watering, hoeing, harvesting), vineyards and orchards (weeding, tying, pruning, harvesting) and maintenance (landscaping, stacking wood, pool maintenance, building repairs). Interns are assigned to a specific work area for the session and devote most of their time there. There is a one-time program fee of $1500 (€1000 for EU residents) to participate in Spannocchia’s Farm Internship Program. Upon acceptance, applicants are required to pay a $250 deposit (€200 for EU) to confirm their participation in the program. The remaining balance is due approximately 30 days prior to the arrival date for their program. Friends of Spannocchia will provide participants with access to an online system to fundraise for this fee. The system allows participants to create a unique webpage to distribute to friends and family to receive donations to cover the program fee.